I play board games with my kids—and I don’t mean Chutes & Ladders or Candyland. If that’s what popped into your head, you should know that board games have changed a lot since you were a kid. There’s a whole world of fantastic new games out there that won’t drive you batty when your kids ask you to play them. And that’s great news, because playing games teaches your kids (and you!) some important skills. One of the first things you learn about playing most board games is that there are times when you get to act, and times when you wait. Drawing cards, moving bits around on the board, grabbing the dice—there are things you shouldn't be doing unless it's your turn. Playing games teaches kids that there are appropriate times for everything, and this will extend outside of games to real life. Not every board game requires math, but a vast number of them do rely on at least some basic arithmetic. There are basic skills (adding pips on dice, tallying up scores) and more complex ideas (evaluating probabilities, optimizing your score in a game with a lot of modifiers). Playing games will give your kids practice in a setting that’s more fun than sitting down and working on word problems. More complex games require you to think about not just what you're doing this particular turn, but what your long-term strategy is. It doesn't help to capture your opponent's pawn if it means they'll take your queen in the next move. Learning to think ahead while playing games will help your kids think ahead in real life, too. It’s been shown that the ability to delay gratification is correlated with success later in life—games can teach your kids when it’s effective to wait for a better outcome. Why think ahead? Well, actions have consequences: your actions can have positive and negative consequences on both yourself and on others. 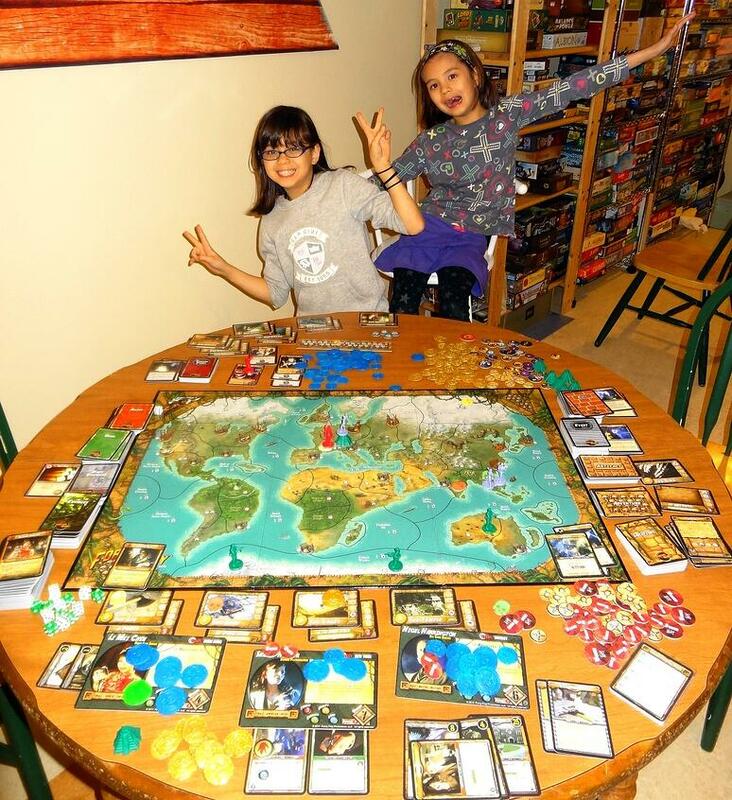 Board games give you a closed environment in which the cause-and-effect can be more easily tracked, but they help develop a mindset that will help your kids think about the consequences of their actions in the real world. After your kids understand that actions have consequences, the next step is the ability to make difficult decisions. Games often require you to choose between equally rewarding (or punishing) options, and playing these games builds your ability to decide what criteria are relevant and what to ignore, and how to balance risk and reward. 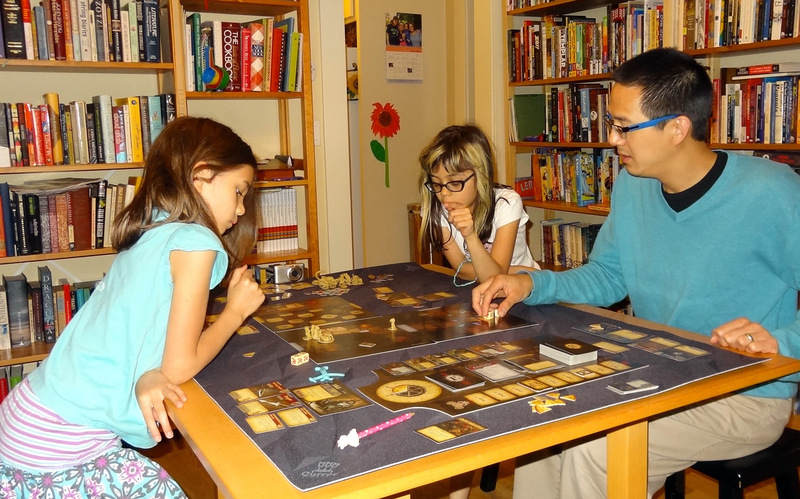 Cooperative games are on the rise, and they're particularly great for parents. With these, you can ignore the age-old dilemma: Do I go easy on my kids, or teach them to get used to losing? (See below.) Instead, this new(ish) batch of games is all about working together toward a common objective. Knowing how to make the most of everyone's strengths is as important in the real world as it is in cooperative games. Nobody likes a sore loser—or a nasty winner, either. Playing competitive games with your kids lets you model how to be gracious, whether you win or lose. They'll come to see that what you love is the play, not just the win. Teach them the difference between in-game attacks and personal attacks, and show them the meaning of friendly competition. Playing board games with my kids isn’t just about teaching them valuable lessons, though—it’s also fun! 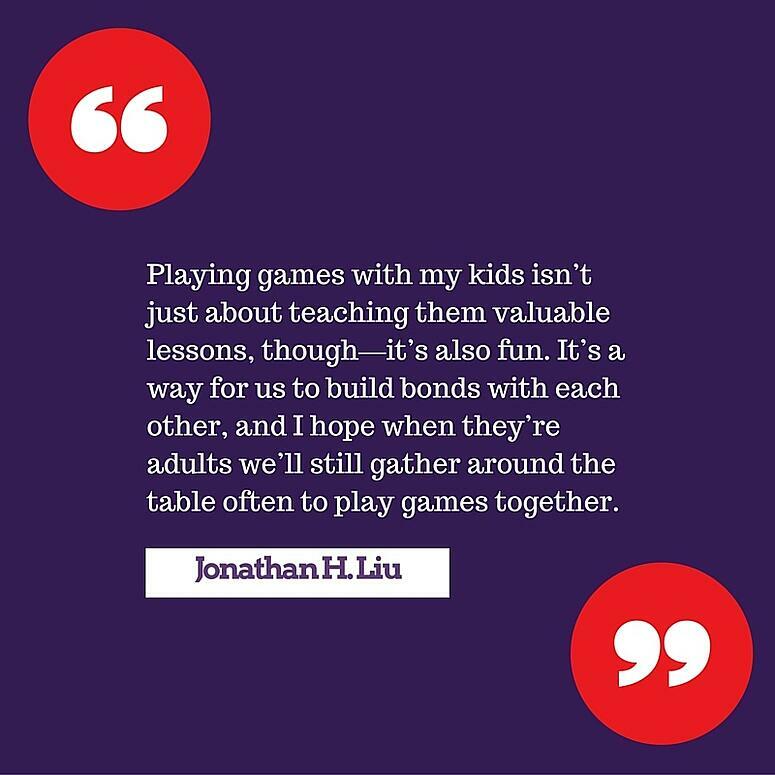 It’s a way for us to build bonds with each other, and I hope when they’re adults we’ll still gather around the table often to play games together. -His author page on GeekDad - go read all of his stuff!